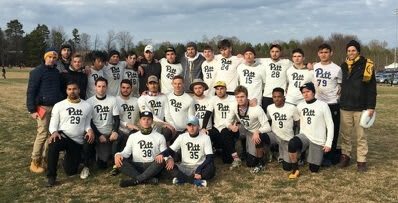 Although their campaign has concluded, if you would still like to make a donation to support Pitt Men's Ultimate, you may always do so here. We are the Pitt Men’s Ultimate Team, also known as En Sabah Nur. We are a group of 25 athletes striving to win a National Championship. Our program has been at the forefront of the national competition for several years now, and we won the National Title in 2012 and 2013. We also currently hold the longest active quarter final appearance at Nationals, at 10 consecutive years. Last year we came into the tournament seeded 2nd overall finished tied for 5th after a loss in quarterfinals. With high roster turnover from last year, this year’s team is full of fresh faces. As our season wears on, rookies are turning into vets, and vets are turning into pros. Our new roster has not deterred us from achieving our goal of winning another National Title in Milwaukee, WI this year, but we will need all the support we can get! To qualify for Nationals, we must first compete at a Sectional and then Regional level. Performing well at these tournaments is essential for us to achieve our final goal of winning a National Championship. Covering the costs of these tournaments in addition to funding a trip to Nationals has been a financial burden on the team in years past. We are hoping to soften the blow on our players’ pockets via this fundraising campaign. Last year, the total expense of our trip to Nationals alone neared $10,000. Expenses such as rental cars, hotels, tournament food, coaches’ travel, and registration fees quickly add up. By donating, you will help fund the most important tournaments of our season. Your generous donation will not only go towards covering these costs, but they will also give our players the ability to focus on performance rather than payment. Help us return to Nationals and keep our competitive streak alive! This donation can help fill up one tank of gas on our drive to Milwaukee! The long road trips we take are spent jamming out, playing hot seat, and getting some much needed sleep. You can occasionally find one of our more studious athletes trying to catch up on some homework as well! A donation of this size covers the cost of a single player registration fee. 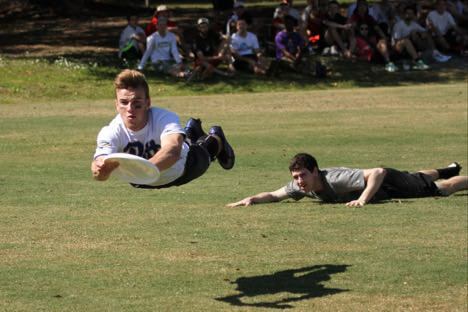 Each player must be registered and rostered through USA Ultimate, which is the national governing body of collegiate ultimate. A registration fee covers the insurance costs and player packs that every player receives at the beginning of the tournament. 1.5x D, or help D, is a fundamental principle of Pitt’s defensive strategy. It requires a high level of field awareness and a strong game IQ to effectively cover your man while helping cover others. When effectively executed, you are acting as 1.5x defenders, not just 1 man. A donation of this size covers tournament food for the team for a day. 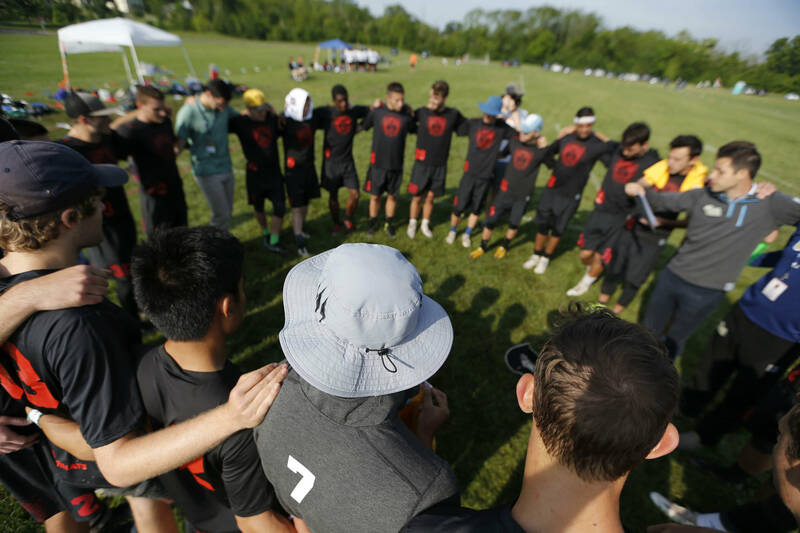 Before every tournament, game, or even practice, we gather in a huddle and perform some controlled breathing as a team to ground ourselves. Ultimate, like all sports, is one part physical, one part mental, and we put a lot of emphasis is building our mental game just as much as our physical. A donation of this size covers a hotel room for one tournament weekend. On En Sabah Nur, we use the motto In Lak’Ech, a mayan precept. In Lak’Ech means “you are my other me” a mindset we instill among ourselves to build an inseparable team chemistry. A donation of this size covers the cost of coaches’ accommodations (travel, room & board, food, etc) for one full weekend.